Escape the day and come to visit Souris Manitoba. Located on the Souris River and Plum Creek, you will enjoy the natural beauty, amenities and rich heritage Souris has to offer. 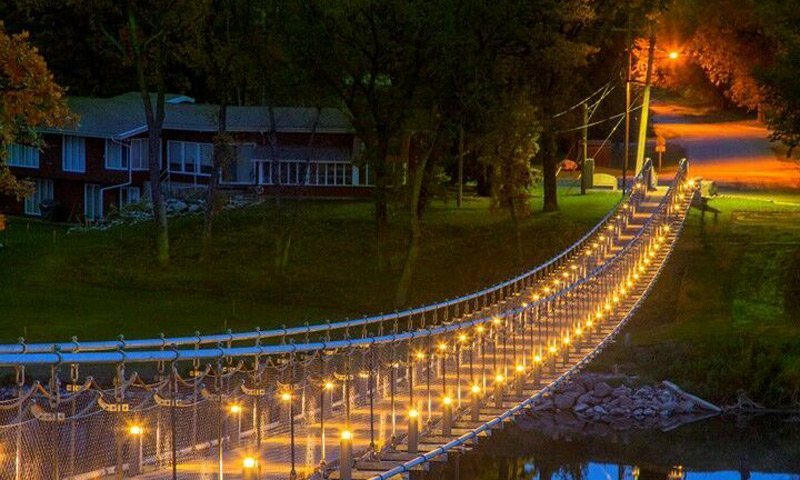 The Swinging Suspension Bridge may be the most famous landmark, but come to discover our museums (The Plum Museum, The Souris Railway Museum, The Hillcrest Museum) or become a rock star and learn about the many unique specimens unearthed at our Rock Quarry. Enjoy a pleasant stroll along the walking trails in the park that wind their way to the mystical Old Oak Tree that is more than 500 years old! Watch for our honorary ambassadors - the peacocks who wander throughout our community. 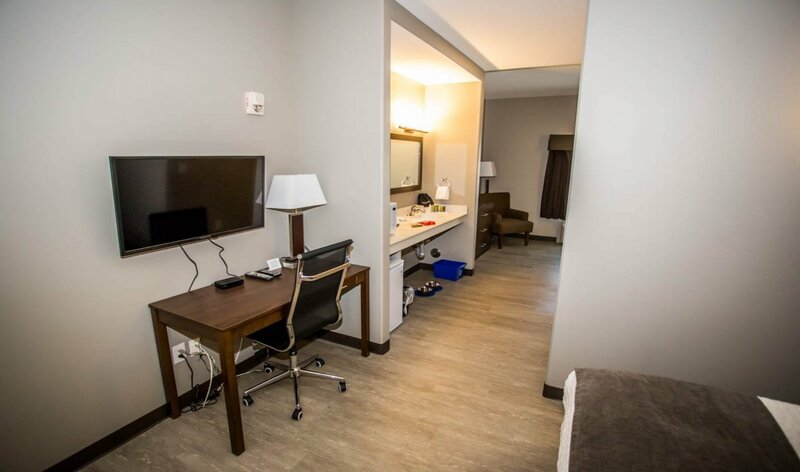 Spend your evening in comfort at the Brand New Souris Hotel. 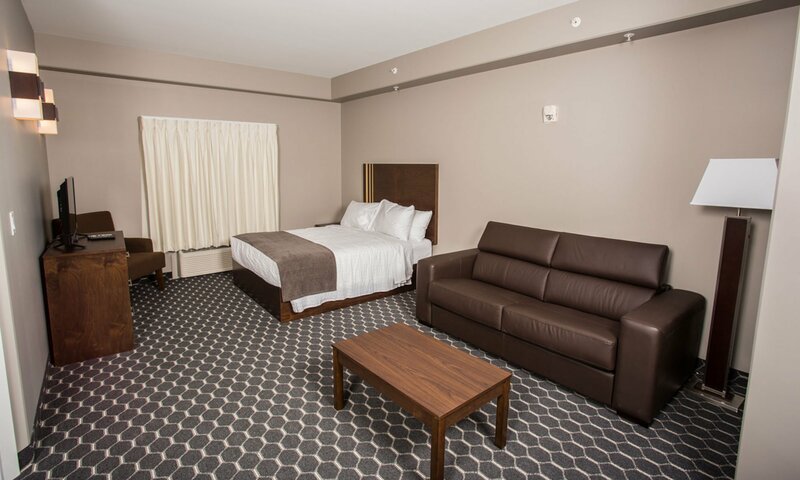 Continental Breakfast, Elevators, Spacious Rooms and many more amenities that make the Souris Hotel a great choice for you and your family. Situated in the heart of Souris the hotel provides walking access to unique restaurants, stores, and activities. 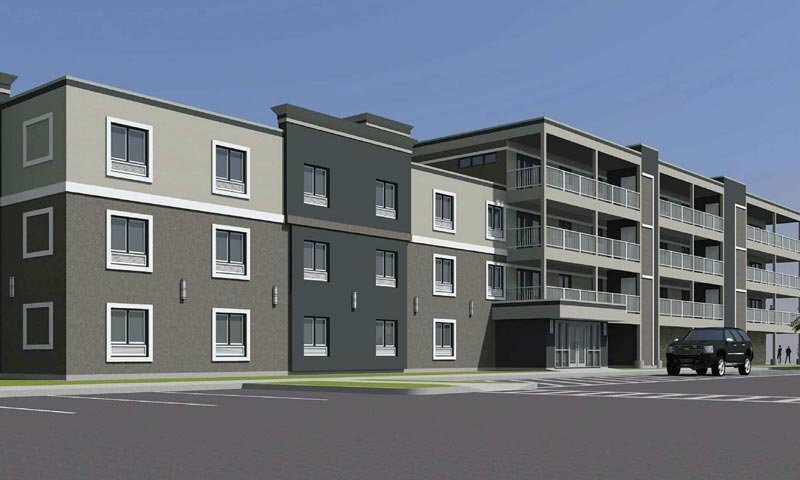 Situated in the heart of Souris, the Souris Hotel has 29 rooms and attached to an 18 Suite Active Adult living complex. The hotel has 3 floors, elevators and stairwells. The Breakfast area and the Common room is located on the main floor. 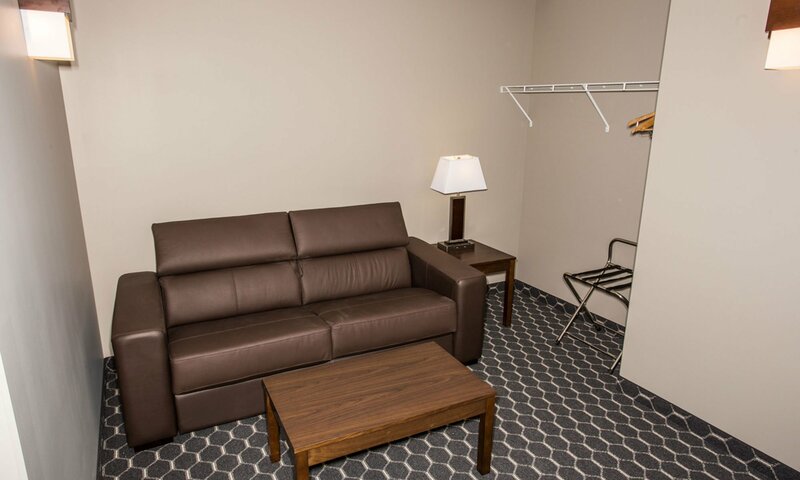 The Active Adult Complex has 3 floors, elevator and stairwell access, private entrance and heated underground parking. This is an all concrete building on the exterior and the interior to guarantee comfort and efficiency. Each Condo is 1200 square feet and has two bedrooms, two bathrooms, walk-in closets, a full kitchen and open concept living area. The population of Souris is just over 2500 and with the central location of the Souris Hotel, guests are just a few paces away from our museums, arenas, and famous swinging bridge. Our beautiful park is a short walk away, and local restaurants and businesses are just accross the street. Come stay with us and see what Souris has to offer. Souris is a great location for weddings, family reunions, get-togethers, and conferences.  We have a full slate of services and venues to choose from. The many activities throughout the year and the many attractions Souris has to offer, keep our visitors happy. Strong roots in the agricultural and railway industries date back to the late 1800's. 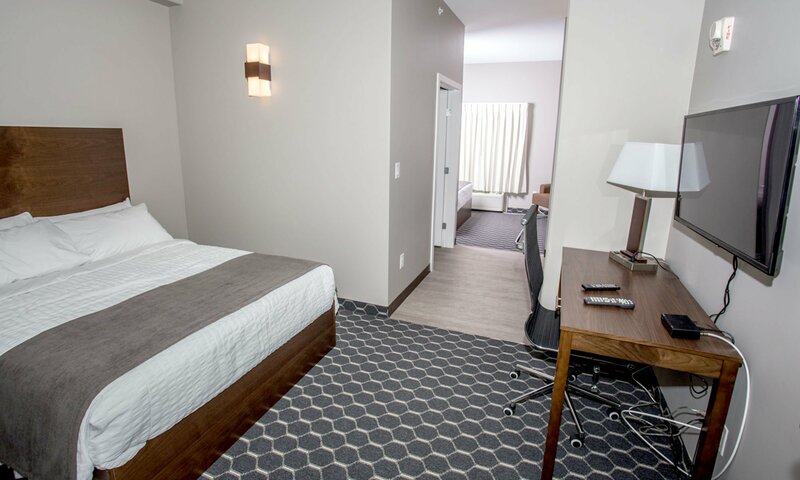 Located just 1/2 hour South West of Brandon, the Souris Hotel can provide quality accommodations to all the business travelers in the area.